27-Feb through 06-Mar-13 – Buying a new car. One of my goals in life had been to own a Mustang convertible. 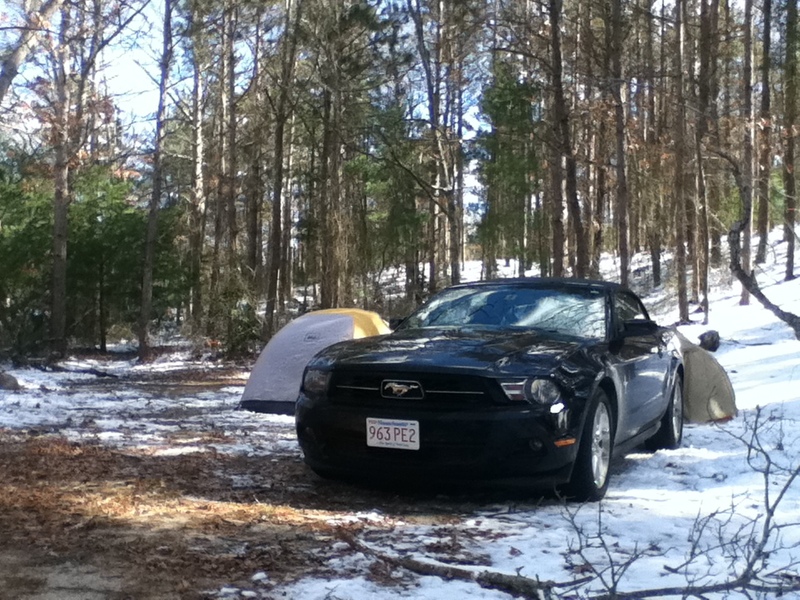 I decided on that specific car while on a roadtrip in 2011 – Spring break actually. I’d rented one, for various reasons, and had completely fallen in love with the car. My plan was to buy one new, direct from the factory. And through a whole series of events, I found myself sitting alone at a desk at Watertown Ford, waiting to talk to a salesman about the car. Honestly, this wasn’t at all what I had expected. I was buying a new car, damnit, and not a stock one at that. I’d called ahead, yet I was still sitting bored for nearly an hour while I waited on the person from the phone. I never met that person – instead I got a salesman who had no idea what I wanted, and through a whole long conversation I came to the inescapable conclusion that I could neither afford to buy a car here, nor had the desire to discuss it with them any further. I’d expected a bit of give-and-take, maybe some thoughts and options. Instead, I simply got blank stares and a monthly payment insanely over my budget. It’s the downside of looking the way I do – having dreadlocks, even when wearing a work suit, makes people take a certain attitude toward you. So, I left. So when I got home I jumped onto the computer, looking for some other options. And I found one, in a place I didn’t at all expect. See, I’d given up on buying this car used, because no dealerships stocked what I wanted (manual transmission, convertible, premium package) in my area. But when I checked my email, there was a notification. A short message saying that a new car had come up on Cars.com. One that fit my requirements perfectly, and was easily within my price range. I looked it up, assuming there was something wrong. So, I called my buddy Chirag, and set a date to go buy the hell out of it. Bright and early Sunday morning saw Chirag and I finishing up breakfast and driving North, to a dealership right inside the New Hampshire state line. Late morning saw us test driving a beautiful black Mustang, top down, tearing up and down the highway. Early afternoon saw me locked in battle, arguing the value of the car with the dealer. Early afternoon also saw me somewhat winning the argument, using my desire to buy a new Xbox to haggle the owner down $500 on the price, to just below the official estimate resale value of the car. Once the late afternoon rolled around I had signed away the largest sum of money I’d ever signed for, and we were driving back down toward Cambridge. And by “we”, I mean “Chirag”. I was still in too much shock to drive at that point. I’m 25, and I just bought my dream car. …a “dream” everyone can have and perfectly identify with your feelings, expressed so elegantly…some very “blessed” individuals actually follow through on that dream…Awesome ! And Congratulations on All Your Dreams yet to come !! !